I am a full time working mama but still love and need a good deal. I get so pumped when I get a good deal on something. It's like I won something! I cut and print coupons and I love it. I am not obsessed like these Extreme Couponers on TLC but I do love getting BOGO's or a good sale. Here are my top 4 go to coupon sites I frequent. 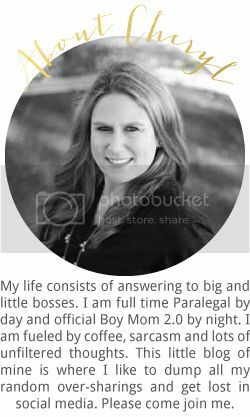 Tara Kuczykowski is a married mom of three boys and two girls, ages 2 to 8 years, living in Columbus, OH. As a former career-oriented professional turned stay-at-home mom, reconciling champagne tastes with a tap-water budget was a challenge, especially with a large family. By learning how to cut costs on her family's basic needs, she has found the key to having more disposable income for the things in life that make it worth living. She posts about different coupons that are out there, free products, free birthday treats, and even giveaways. 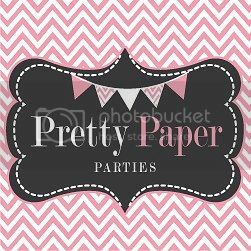 Her site is very easy to use and maneuver around in which is a big plus. I can always count on DSM for great free Pampers points! I love me some free points!! She even has a coupon database that you can "clip" your coupons and organize them and keeps track of the expiration dates. I personally have not tried this yet but its on my to do list. It sounds like it would make my couponing life so much easier. 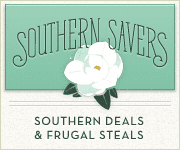 I have been just introduced to Southern Savers by my best friend and quickly became hooked. I am a stay at home mom of 3 little girls that are 5 and under. I didn't grow up in a frugal house or even cut a coupon until my twins were almost a year old. I started couponing when we moved into a new house and with in one week of being homeowners the roof started leaking! I thought it would be temporary only until the roof loan was paid off. It only took one trip to CVS to become hooked, leaving with over $100 in merchandise that I paid a quarter for. Now I can never go back. The idea of paying the prices we used to pay is impossible once you realize how low prices can be when you shop effectively. We now have more food in the pantry than ever before and we reduced our grocery budget by over $400a month! That's our money we get to keep for other things.What would you do with an extra $400 a month?  What I love about Southern Savers is that you can go directly to the top of the site and click where you will be shopping to get the stores coupons. So easy! She even has a place to learn more about couponing and how to become better at it. Plus she has a link directly to the amazing Coupons.com where you can get great savings via printable coupons. Obviously it is geared more towards baby gear. Which is obviously perfect for my life. Before becoming a mom to “two under two” (now two under three! ), I earned a Bachelor of Business Administration degree with a major in Finance and a minor in Communication. After 8 years of enthusiastically climbing the corporate ladder at both General Mills and Target Corporation, I finally quit working in the corporate world and became a stay-at-home-mom to my two children! Now I’m proud to say that my “second job” is being a Minnesota mom blogger! My husband and I live near Minneapolis with our two little ones, plus one amazing shelter dog and two rescued cats. After family time, homemaking, and this website, I don’t have much spare time! When I do have a few hours to spare, I always try to spend quality time with our extended family and my close friends. I love reading, big Broadway musicals, Diet Coke, shopping and Starbucks lattes, and I’ll take any of those in any order! Thanks for visiting Baby Goodbuys, and thanks for learning more about me! Want to introduce yourself or contact me for any other reason? I can be emailed at babygoodbuys (at) gmail (dot) com. She posts about mainly baby products at discounted rates such as car seats, clothes, wipes, diapers, snapfish and shutterfly discounts. She also has some great advice about baby showers, stocking up on diapers, and DIY. I am the frugal minded mom to three fun loving children and wife to one hard working man! They are my first priority in life! I spent seven years of my life teaching elementary school and learning how to live on very little. My first teaching position at a private school paid $10,800 for the full year. I learned very quickly how to budget my money to pay for rent, utilities and groceries and even saved money. When my daughter was born, I decided to give up my teaching career and focus on being a mom -and that I did. I had three children in three years and my life has been a whirlwind ever since! I truly enjoy being at home with my children! I have always been frugal and conscious of saving money. The coupon journey began for me when a friend introduced me to a mega sale at Kmart three years ago. I never looked back. I am a deal addict and love the feeling I get when I have scored a really great deal! Most of all I love sharing my deals with friends--all of you! Thanks for reading and happy saving! What I like about MSM is that they have a Restaurant section. Our family loves to eat and this helps save money on which restaurant is running a promotion. She also has a freebie section which is fun to hit up. Her site is very nice on the eyes too. What I also love about all 4 of these sites are that they are on Twitter. Since I am a new found Twitter obsesser I am loving this feature. I love that I can get these great deals sent right to my phone from Twitter! And it makes it seems more personal for some reason? I have something very similar to this to organize all of the coupons with. I can not imagine if I was not organized with my coupons. I would not save because I would simply forget about them. If know I am going to Target ill throw my grocery and baby coupon folios in my purse and then just whip them out while I am there. I have them labeled very well so it only takes me a second to browse through them. If I know I am going to Target or Publix I will compare my list and pull out my coupons before I go and put them in the front pocket so it takes less time to go through them all once I am at the grocery store. My favorite coupons are the grocery coupons. For example Winn Dixie and SweetBay have $5.00 off a $30.00 purchase all the time. And I always spend more then $30.00 so I totally take advantage. Now, I do not shop at either one of these places but Publix will take competitors coupons. WOOHOO. So look out for these coupons, I have even stacked them before and saved a bunch of money. Last but certainly not least is my Swagbucks. I admit, I do have an obsession with Swagbucks. I use it at home, at work and I would even use it on my cell phone if it had that feature. It is simply a search engine. You go to Swagbucks and download the toolbar (you don't have to but it makes it much easier to do searches). And then begin searching like you would on Google. You get "Swagbucks" for certain searches. 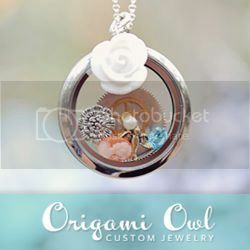 After you earn enough Swagbucks you can purchase things. For example, a $5.00 Amazon Gift Card is 450 Swagbucks. You will earn that in no time and get free money! And you are getting free things for simply doing what you do everyday. Well, I hope these sites and my coupon organizing tips save y'all some money. I am not too good at the couponing thing unless its for clothes : ) I do check out southern savers. Thanks for sharing! This is awesome - I didnt even know about swagbucks - how great!! Thanks so much for sharing...I need to make it a goal of mine to get better at the coupon shopping! !